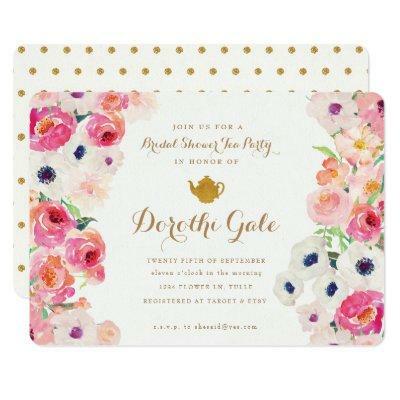 Beautifully hand painted watercolor floral flower and a gold foiled teapot grace this whimsical Bridal Tea Shower invitation. Gold lettering makes it extra special. Put on your best tea party hat and invite your friends!